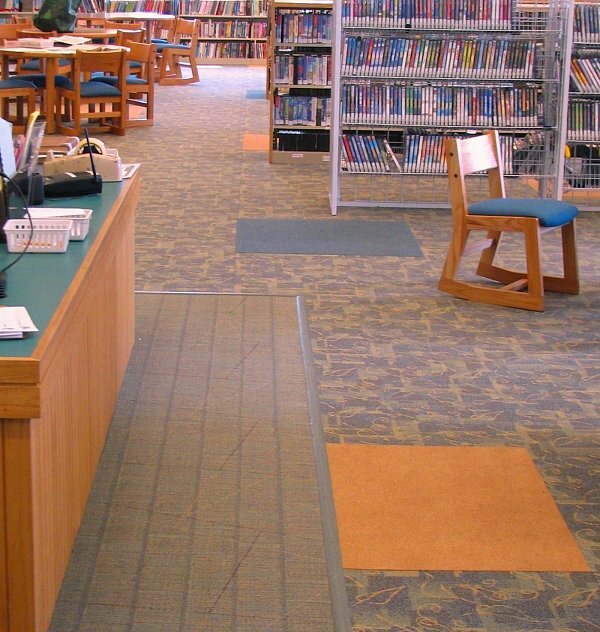 Contrasting carpets add interest and fun. 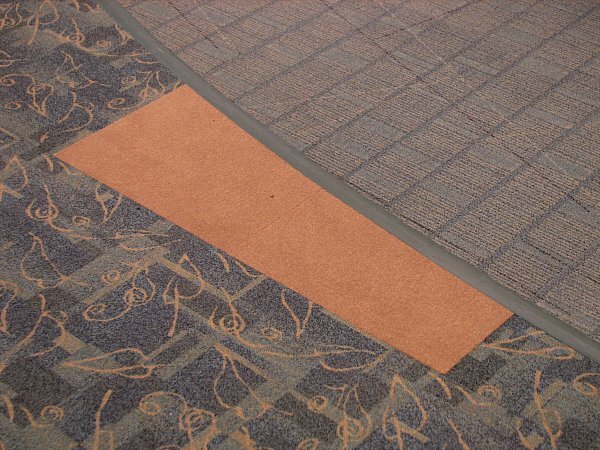 Carpet contrast emphasizes important destinations. The teens' section features bold accents for casual meeting places. A comfortable and inviting resting space. 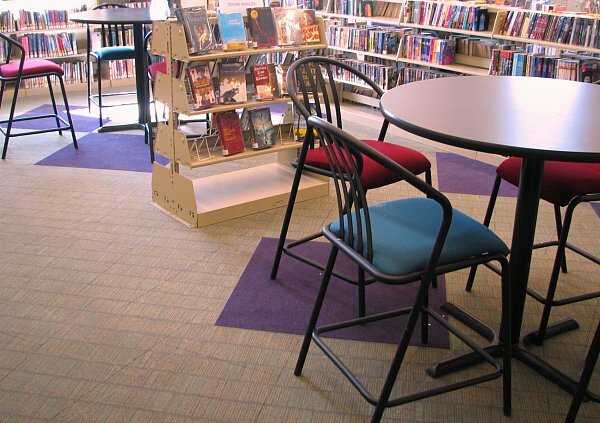 Contrasting carpet provides fun accents in the children's section. 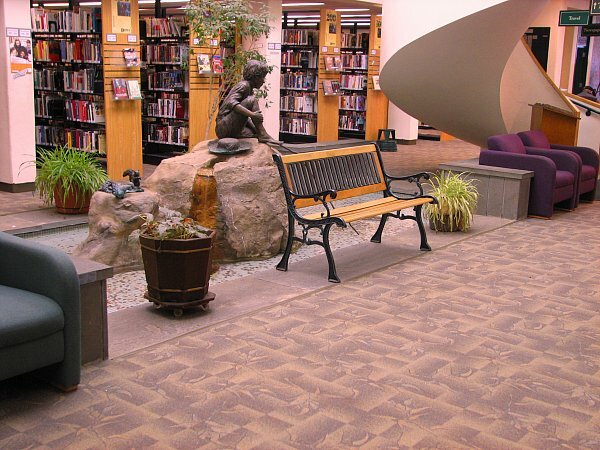 This project involved the layout design of new carpet for the entire library. 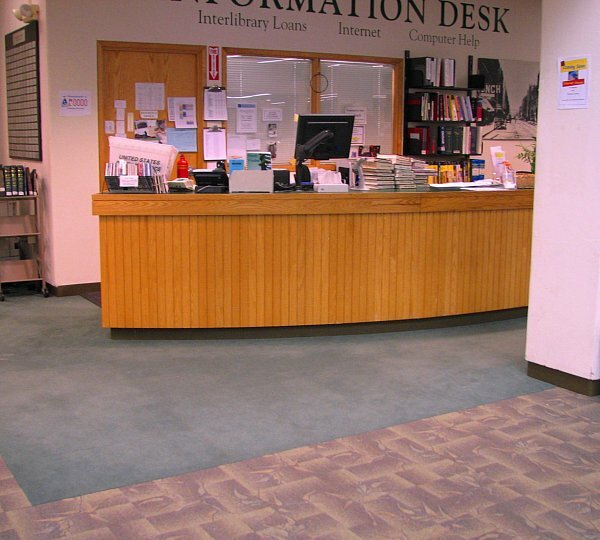 The selection of carpet brought a bright and updated image to the facility, plus a new focus to four major areas of the library: the main corridor, reference desks, and the children's and teens' sections. Special consideration was paid to maintenance, life cycle and sustainability.